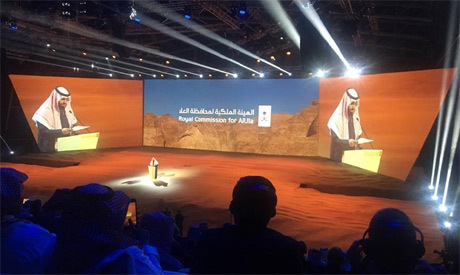 Saudi Arabia’s Crown Prince Mohammed bin Salman launched a number of toursim megaprojects in the ancient desert city of Al-Ula on Sunday, with the aim of turning the site into a global tourism destination. The projects include the Sharaan Nature Reserve and the Global Fund for the Arabian Leopard. Minister of Culture and Governor of the Royal Commission for Al-Ula Prince Badr bin Abdullah bin Farhan has stated that “the beautiful canyon area of Sharaan is now a designated nature reserve, setting a new standard in the region for re-balancing ecosystems and reflecting Saudi Arabia’s commitment to protecting the natural environment of al-Ula. "The Sharaan Nature Reserve initiative includes the establishment of a global fund for the protection and reproduction of the Arabian leopard,” he added. Backed by billions of dollars in state-led investment and a French cultural partnership, the authorities say Al-Ula and its majestic rock-hewn tombs of Madain Saleh could eventually attract millions of visitors, local and foreign alike. “Rehabilitating the natural habitat and reintroducing endangered species into a nature reserve has immense impact on the biodiversity of the region," stated the head of nature at the royal commission Muhammad Sulayem. "We’re excited to be working with global experts, our adept team at the Royal Commission for Al-Ula, and the community of Al-Ula to restore Sharaan’s natural ecosystem,” he added. According to Reuters, many Saudis believe that the area is haunted by jinn, and folk beliefs about the site can be traced back to a hadith of the Prophet Mohammad, warning Muslims not to enter "unless you are crying ... lest you suffer the affliction" of its people, said to have perished for their sins. While some religious scholars contest the interpretation of the passage, Saudi state-backed clerics had referenced it for years. 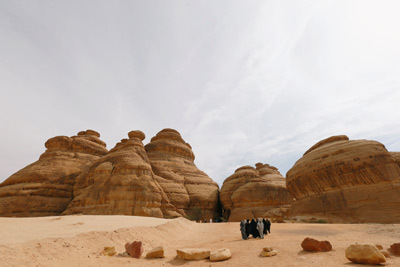 In 2012, one of them ruled that Al-Ula should be opened to the public, but even years later a school in the area was temporarily closed after students sighted jinn, local media reported.